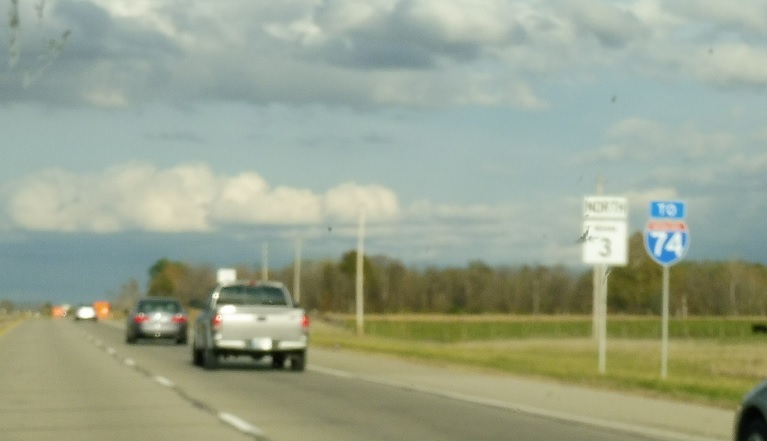 Reassurance shield with trailblazer to I-74 as SR 46 splits. 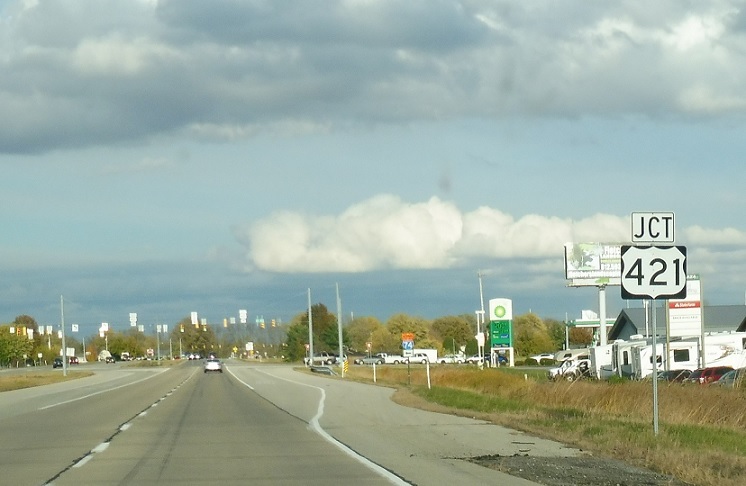 As we enter northwest Greensburg, we’ll approach US-421. 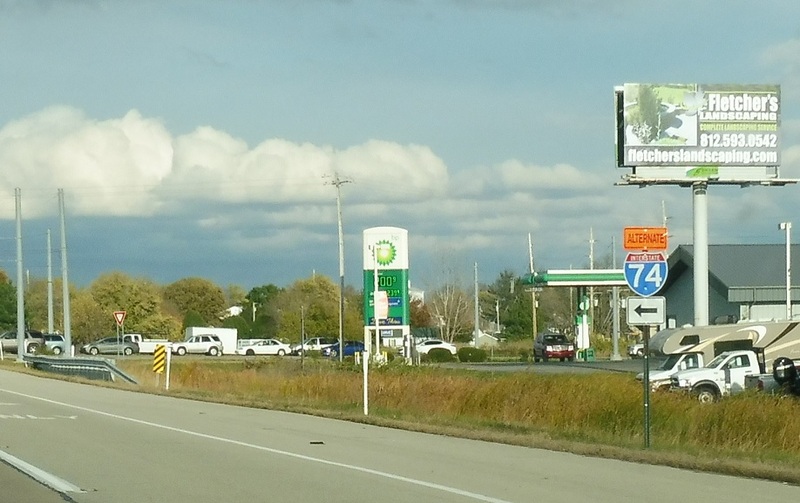 US-421 serves as the emergency alternate for I-74. 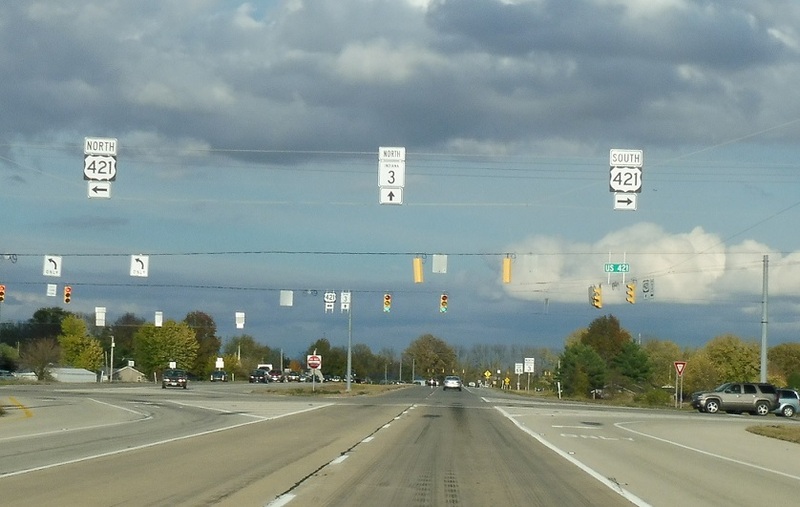 Turn right for 421 south, left for 421 north, and stay straight for 3 north. 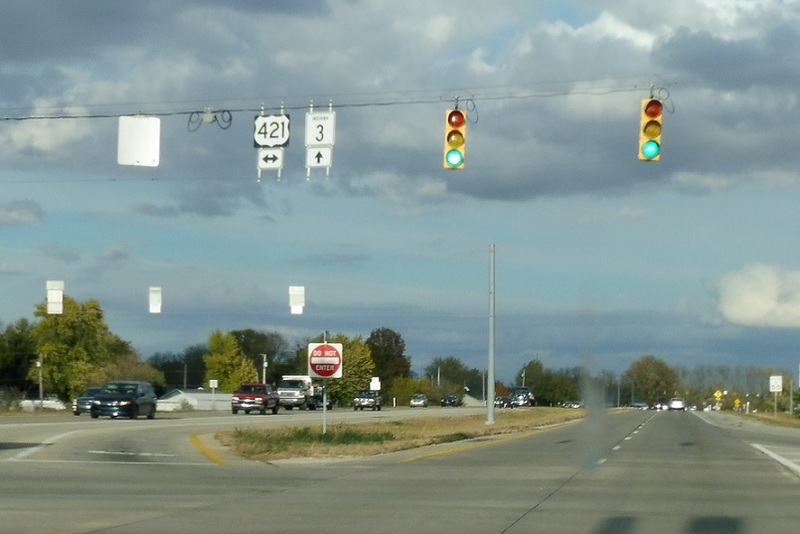 Stay straight for SR 3.